Anyone out there remember the Arsenio Hall Show? One of his trademark gags was where he would think about certain things and would refer to them as “things that make you go hmmm”. Trying to find the download for the .NET Framework 4.5.1 SDK is one of those things. 1. Download the Windows SDK for Windows 8.1. 3. 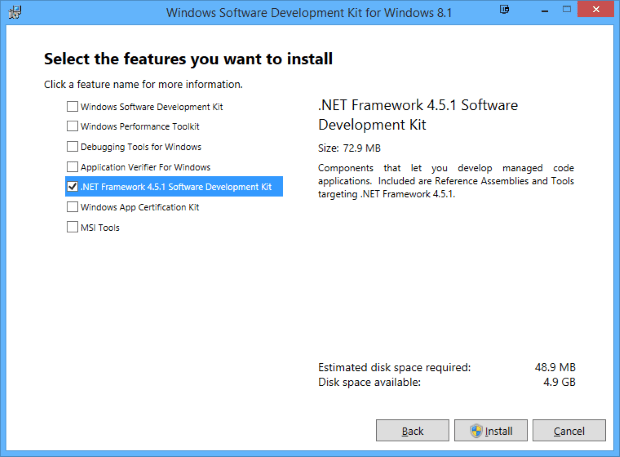 Uncheck everything but .NET Framework 4.5.1 Software Development Kit and install. Bill – Hmmm, maybe, but what’s the difference between a developer pack and an SDK? Or are they the same thing and Microsoft changed the term on us?